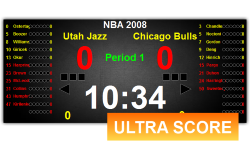 We are providing the professional basketball scoring and timing system. The system includes: professional scoring software, referee controller, 24s shot clock, possession display, backboard light, etc. We are also providing the extended systems, like Sports Live Video System, Sports Stats System, and Venues Advertising System. They can be combined together for a modern basketball game. 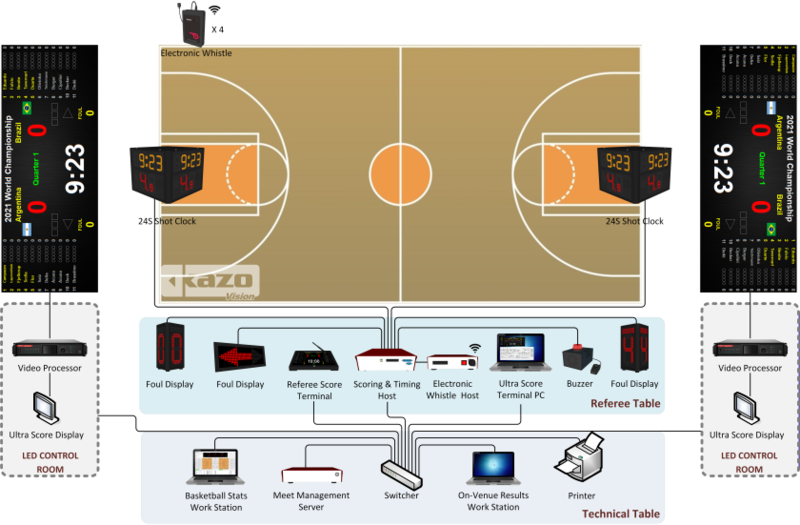 Our system has been used by FIBA (5v5 and 3v3) games all over the world. It's powerful and easy to use and maintain. 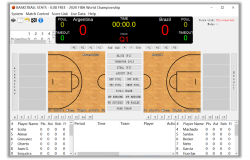 Scoring and Timing software for Basketball match. It can be used to display: Score, Period, Match Timer, 24s Shot Clock, Foul Times, Timeout Times, Player Points and Player Foul Times as well as the advertising during the match. It can be used together with the scoring system to form a professional media broadcasting system. It can display the overlay score, timing and player info on the live video. And it also can be used to slow motion playback. The professional statistics software for Basketball match. It can record all events during the basketball match and export the statistics report which can be used to help the coach and the player to analyze the whole match. 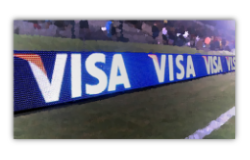 A special advertising system for the sports stadium. It can form all LEDs, LCDs and Projectors together displaying the advertising and the match info on all devices. 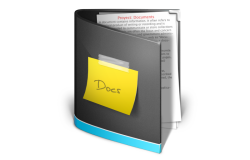 You may download the detailed solution documents from here. 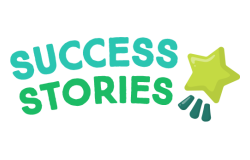 Be used together with Basketball Scoring Software. Modify the score of the team and player. Modify the foul times of the team and player. Match timer control. Adjust the match timer. Shot clock control. Support the 14s rules. External handy for controlling the match timer and shot clock. Modify the foul times of the team. External handy for controlling the shot clock. Can be connected to the "Basketball Referee Console", display the match timer and shot clock synchronously. Display the timeout counter when there is a timeout. Buzzer when match timer or shot clock timeout. Connect with the backboard light. Light up when game clock or shotclock signals. Connected and synchronize with 24s shot clock. Light up in red when the game clock signal sounds for the end of a period. Light up in yellow when shot clock signal sounds. Display the possession arrow manually. Display fouls of the match manually. Generate a siren sound for match timer timeout or substitution.